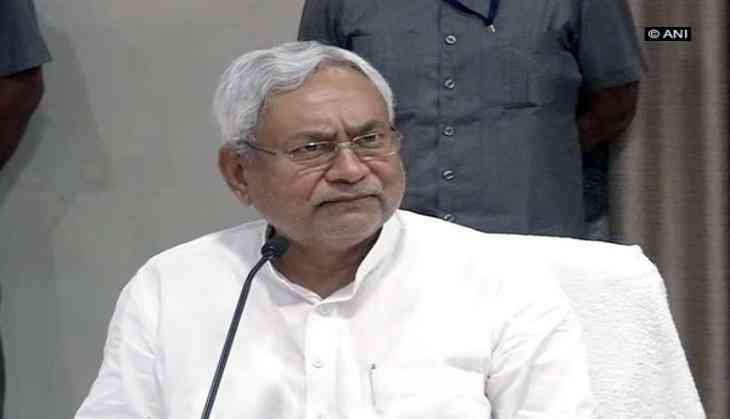 Commenting on the recent topper scam that brought embarrassment to Bihar, Chief Minister Nitish Kumar on 5 June blamed the people for spoiling the image of the state. "Not the outsiders, but people of Bihar play main role in ruining the image of the state," Nitish said at a press conference here. He further said that the government is making efforts to ensure fair conduction of examination and to check cheating. Recently, a topper scam again raised question over education system of the state after an Arts topper, Ganesh Kumar failed to show any of his academic prowess. Where around 65 percent of the students failed the Bihar board, Ganesh Kumar topped from the Arts stream. He secured 65 out of 70 marks in the Practical examinations of Music and 18 out of 30 in the theory. However, a meeting with him gave a different picture as he failed to answer basic questions related to the subjects in which he secured the highest mark. When he was asked to play some instruments and sing a song, he seemed unable to play anything in tune. The Enforcement Directorate (ED) also filed a money laundering case against four principals in connection with the scam. Last year, scam in the Bihar Board landed the state government in the dock of embarrassment after topper Ruby Rai who secured 444, marks out of 500 in the arts stream was not even able to answer basic questions related to her subjects.